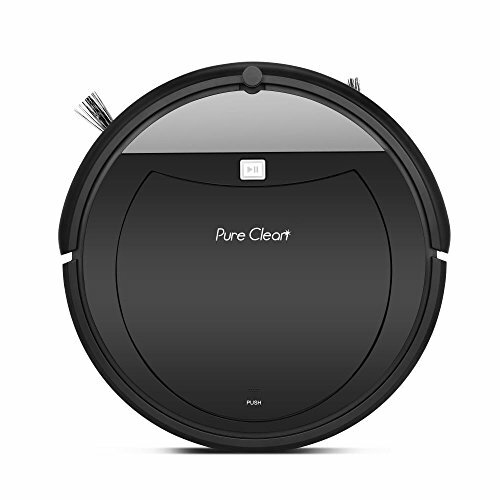 View More In Robotic Vacuums. Easy to clean different floor type (Carpet,wood,Tile and Marble). SCHEDULED ACTIVATION: Keep your home quiet and peaceful. Programmable scheduler self activation automatically runs vac at any scheduled time while you are away. Adjust robot settings from built in LCD screen or wireless remote. AUTOMATIC RECHARGE DOCK: The robot vacuum seeks the charging dock after it is finished or on low battery - Built-in 2000mAh rechargeable battery allows for 90 minutes of cleaning before returning to the electric charger. LOTS OF ACCESSORIES: Attachable dry mop allows vacuum robot to pick up fine dust particles. Wireless remote control can steer the robot's direction and change scheduling setting. Replacement dustbin filter and side sweepers keep your robot running at optimum efficiency. SMART ROBOTIC SENSOR: Smart vacuum sweeper has built-in IR sensor preventing it from running off ledges and from directly running into obstacles. Great for cleaning tile, hard carpet and hardwood floor. If you have any questions about this product by PureClean, contact us by completing and submitting the form below. If you are looking for a specif part number, please include it with your message.